Daily reduced admission for the whole family for the thermal spring Ehrenberg and for the Hahnenkamm in Reutte. 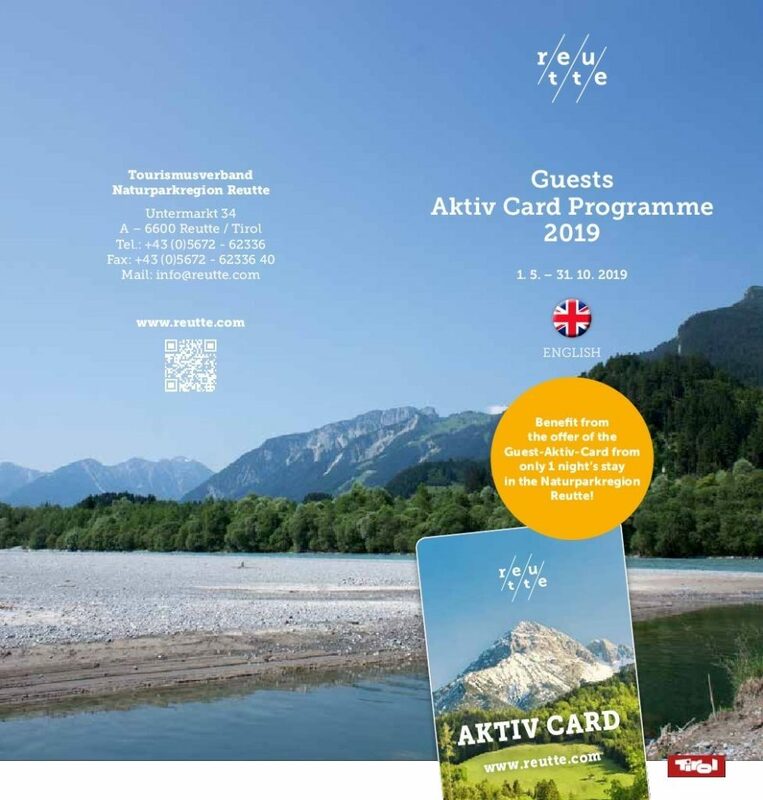 Free admission to the museum ” Dem Ritter auf der Spur ” and free bus rides within the Naturparkregion Reutte, the Lechtal , the Tannheimer Tal , or to the city Füssen and up to the Plansee – your dream vacation awaits! Get to know the Naturparkregion Reutte from different angles! There are a number of free and discounted activities daily. Tt’s worth to take a look! 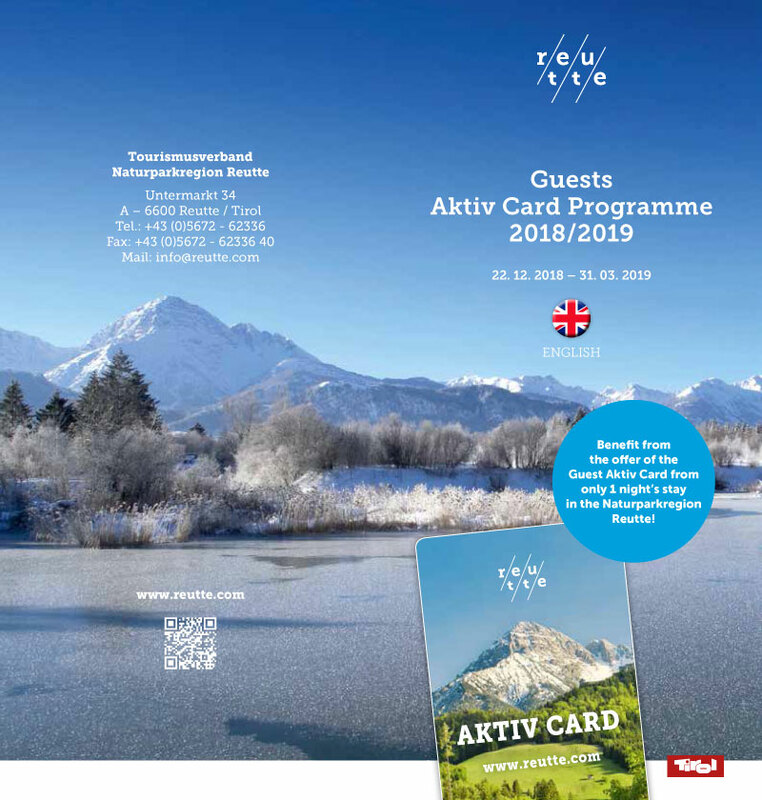 From Christmas to Easter, the Winter Active Card offers you a number of reductions on train journeys and a broad range of activities, including introductory courses for skiing, cross-country skiing and much more.